"ONCE UPON A TIME" IS TIMELESS The Duchess Jessica's childhood began with a tragedy: her mother's death. Her father, heartbroken at the loss of his beloved wife, could not bear to raise the child. Largely ignored, Jessica spent the first eleven years of her life running free on the family estate, cared for only by the servants. Then her father decides to remarry, bringing an end to Jessica's independence. At first her new stepmother just seems overly strict. But as Jessica grows into a beautiful young woman, it becomes clear that her stepmother is also wildly -- and murderously -- jealous of her. Jessica escapes to London. Going by the name Snow to hide from her family, she falls in love with an odd band of outcasts who accept her into their makeshift family. But when her stepmother appears in the city, repentant and seeking her forgiveness, Jessica will have to decide whom to trust...with her life. 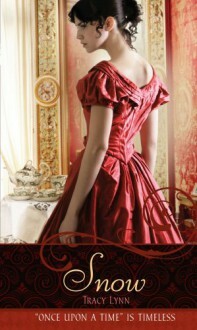 Read the full review!Jessica is a young duchess, growing up without a mother or much supervision. When her father remarries a strict and very strange woman named Anne, that changes. Now Jessica has become a prisoner in her own home.